Once a month Home Life Simplified features the story of survivors of perinatal illnesses (this covers PND, Anxiety, OCD, PTSD, Psychosis). Debra from Home Life Simplied, found that so many women responded to her own blog posts where she shared details of (my) journey through PND & she wanted to give others the opportunity to share their story too. Each contributor to these featured interviews are provided 10 questions & asked that they choose at least 5 to answer. Our hope is that you’ll take away some helpful information, inspiration &/or a greater understanding of perinatal illnesses. What form of perinatal illness did you suffer from (PND, PNA – anxiety, OCD, psychosis, PTSD etc) and what were your symptoms? I suffered from PND & PNA following the premature birth of my daughter in 2008. When did you know or we’re conscious that things weren’t right? What was the moment that defined things for you? I’m not sure there was a moment that defined things for me or I was conscious things weren’t right. There were a culmination of events, feelings, moments that led me to admit to myself & my husband that I was not ok. I had been seeing a psychologist during my pregnancy as I had a history of depression & anxiety & wanted to ‘be on top of’ anything that might have occurred following the birth. I knew the signs & what to look out for, yet I mistakenly thought I was just tired & feeling overwhelmed with having a newborn & would naturally get through it. In the eye of the storm I had many regrettable intrusive thoughts. It was then that I compared my thoughts & feelings to the images I’d seen of new mothers being elated & overjoyed & saying things like they felt complete now that they had had a baby. I felt the complete opposite & feeling overjoyed was the furthest thing from my mind. It was my first appointment after my daughter’s birth that I went to my psychologist that it was evident that I was not ok & needed supports to get me through. What course of treatment did you follow with your doctor? What do you feel was the most beneficial and why? After my first appointment with my Psychologist (at seven weeks postnatal), I was immediately put on an anti-depressant as we had known from previous experiences that this had a positive effect on my recovery. A week later, my daughter & I (when she was eight weeks old) were admitted to a parent infant unit in a Psych facility, where we stayed for three weeks so I could be observed as my meds took effect & also had intensive therapy during my admission. The nuthouse, as I now affectionately call it, saved my life. The therapy sessions & groups were immensely helpful, the time away from distractions of cooking, cleaning, washing & focusing & getting to know my baby was beneficial beyond words. Following my admission I still saw my Psychologist every fortnight & also attended weekly sessions at the nuthouse (day program) until my daughter turned one & my team felt I was well enough to stop attending. I was also part of their outreach program where I would get a visit at home each fortnight from a care worker to see how I was doing in my own environment. I continued this for a few months following my discharge from the day program to ensure my supports didn’t all end at the same time. My psychologist sessions then extended to monthly once we were confident of my progress. There was no one treatment that worked best for me, it was really the culmination of all those wonderful supports with my ‘team’ overseeing each step of my progress or regression. The things that helped me overcome my PND/A was all the therapy sessions I had, my medication to help remove the fog in order for my therapy to take it’s full effect, the other mothers I met along my journey that were also wonderful supports & the realisation that being honest with myself & how I was really feeling was crucial to my recovery. Recovery was like an emotional & psychological tug-of-war at times. There could be weeks of feeling ‘well’ & then something shifting in my universe to make me feel as though I hadn’t made any progress at all & any further progress was not going to happen. Those episodes were almost harder than the times I was actually in the eye of the storm, because I had had a taste of knowing what feeling better felt like & it was like a cruel joke to be feeling helpless again. Recovery was not easy, nor instantaneous. It required hard work, lots of energy & determination. There were many challenges & many times I thought that recovery was not achievable, however the motivation to continue was my daughter who was thriving & needed her mum & my husband that just wanted his wife & best friend back. Unfortunately, it wasn’t until I was feeling well again that I came across the wonderful online social network I’m so honoured to be part of today, however, I found them in time for the planning of my second baby & they were crucial to my mental health following his birth. When did you know you were reaching the light at the end of the tunnel / tipping point to recovery? I don’t think there was a time or an event that I knew I was feeling ‘better’. I suppose, the feelings of dread, resentment, anger & sadness disappeared for longer periods until they were no longer & were replaced with being hopeful & excited about the future. Saying that though, I don’t think I will ever feel the ‘same’ or feel as I did prior to my PND/A. I am forever changed as a person, woman, wife & mother. Although there was a ‘light at the end of the PND/A tunnel’, I feel as though I’m still a ‘work in progress’ given my ongoing bouts or depressive episodes which I now call ‘maternal depression’ as opposed to PND. If you went on to have more children after PND can you share what you did to prepare yourself and your family (preventative measures). What was most helpful? We decided to try for another baby just before my daughter turned two & when I was feeling well enough to start the journey again. Preparation was all about lots of planning. I thought about what had triggered me the first time around & thought of strategies to prevent them from reoccurring, or at least if they did, they would not be as severe as the last time. I had a wonderful support group of PPD recoverers (that we met over Twitter) pregnant or planning to have another baby & we emailed each other & checked in with each other often during the pregnancy & following the birth. I also checked in with the #PPDChat FaceBook support group often during my pregnancy as sadly I had an extremely medically complicated pregnancy & was very anxious about the likelihood of my baby surviving. I was hospitalised at 34 weeks & had a scheduled c-sec at 36 weeks & it all went smoothly. My son and I went home together on day five, however after a week being home and him only gaining 50g since discharge, we were re-admitted to hospital by his paediatrician so that he could be fed nasal-gastrically. We remained in hospital for a further nine weeks (away from my 2.5 year old & husband) and finally came home when my son was nearly 12 weeks old (eight weeks corrected) & NGT free. I had some extremely low moments during our stay in hospital – it was a frustrating, overwhelming, confusing & disheartening time that finally led us to a diagnosis & discharge plan. In the nine weeks of admission I was on the verge of slipping again – however this difference this time was that I knew I loved my son & felt connected to him. The difference this time was that I was having a normal experience in an abnormal situation & it was the circumstances not my mental health that was affecting my moods. What is 1 (or more) positive thing that came out of your PND experience? I truly believe my PND was one of these best things that ever happened to me. I’m a more compassionate person & have empathy for other people’s situations. I am passionate about telling my story so that no mother feels suffers in silence or feels alone & that she & her family knows that help is out there. I also learnt to explore my own emotions, be in touch with feelings I would not have otherwise done & believe I am more tuned in to my kids feelings & emotions than I would have been had I not had my experience. 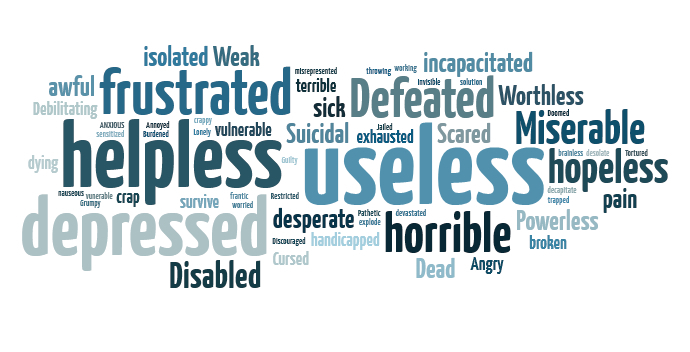 What would you want to say to women currently suffering with PND? I want to tell you that this is not forever. I’m watching you as you push your pram down the street & noticing others look at you with a glint in their eye reminiscing about the time when they walked their baby along the same path. I see people taking sneak peaks at your baby & smiling at the newness of life & the innocence of the little face in the bassinet. Then I look at your face & there is a strong sense of familiarity. I’ve seen that face before. I don’t know you nor do I know your story, but I know that face. I have the strongest urge to stop you in the street, look into your sunken & sad eyes & hug & tell you that things will get easier & you will get through this. I want to tell that you didn’t ask to feel this way, that you didn’t choose to become unwell, nor did you do anything for this to happen to you. It’s either/or a combination of a chemical imbalance in your postpartum brain, torturous sleep deprivation, dealing with a traumatic birth or having a baby prematurely or with medical issues. It might be because you’re struggling with the transition to motherhood & all the expectations (yours & others) placed on your already overwhelmed & fragile shoulders. Whatever your reason, there is NO shame. Please promise me that you’ll be honest with yourself about how you’re feeling & be honest with those around you that you trust, as well as with your healthcare provider. You don’t need to feel this way, nor do you deserve it. As tiring as motherhood is (especially with a newborn) pretending you’re ok is utterly exhausting & takes up too much room. You’re not going to believe me now, given you’re in the eye of the storm, but having a PPMD will be one of the best things that will ever happen to you – as a person & as a mother. Your recovery will be hard, frustrating & challenging & there will be days you feel as though for every step forward is like two steps backwards, but as long you keep moving, you WILL get there. As I sit here & watch you continue to push your pram down the street, I see that you’re putting one foot in front of the other & I know in my heart of hearts that you’ll be ok. I know this because I walked the exact same path. I just hope you see all the directions I continue to leave along the path making your journey easier & less lonely to navigate. To read other submissions of this Rally, click here. Sunday May 12th, is the 5th annual Mother’s Day Rally for Mums’ Mental Health. This Rally will feature 24 letters from survivors of PPD/PND, postnatal/partum anxiety, posnatal/tpartum OCD, depression after weaning &/or postnatal/partum psychosis. The purpose of these posts is to inform & encourage pregnant & new moms who may be struggling with their emotional health. The Rally is hosted by Postpartum Progress, the most widely-read blog in the world on postpartum depression & other mental illnesses related to pregnancy & childbirth. To read the other posts on this Mother’s Day Rally, click here. After the birth of my daughter 4.5 years ago, I experienced the complete opposite of what the books, movies, other mums had told me about birth & the overwhelming love you feel when you see your newborn baby & when you bring your baby home. I felt like a fraud for acting as though I was in love & bonded with my baby, I felt ashamed, numb, confused, angry, robbed & mostly alone. As my journey of recovery continued, I met many other mums that had suffered the same experiences in early motherhood than me & I no longer felt so alone. It didn’t matter whether or not their stories were ‘worse’ or ‘better’ than mine – it was just that they had been ravaged by the same Demon & were desperately trying to return to the same person they were before it attacked. DH & I kept it a secret that I was unwell & admitted to a Psych facility (aka nuthouse) with our baby & told our family & friends that we were at sleep school. It’s not that I was ashamed, I just wanted to focus on my recovery & not what people thought of me. It was Valentine’s Day 2012 where I first shared my story. It was my hope that through my words I would be able to reach out & talk to mothers out there suffering in silence. By opening up & sharing my story, I’ve allowed myself to be vulnerable, whilst at the same time acknowledging that shame & judgment are likely to be their companion. I had to make a conscious decision to not care about that. I can’t control people’s opinions or thoughts, so I decided that the fear of judgment was not going to get in my way of spreading awareness & finally taking my mask off & telling my story. The things I’d like to share in this blog hop are the things that I’ve learned as a result of my journey. Mental illness, specifically a Postpartum/Postnatal mood disorder (depression, anxiety, OCD) or Postpartum/Postnatal Psychosis – it’s just not something you choose to have or want following the birth of your child or following an adoption. It’s a hard time for our families, friends & social circle to understand what we’re going through & it’s challenging as they don’t know how to help us which makes as frustrated in kind. Our symptoms are invisible & unobvious so it’s easy for people to distance themselves from us if our illness goes beyond ‘the expected time for recovery’. I’ve learnt that PPMD’s don’t discriminate – it doesn’t matter what socio-economic status you are, what faith you are, what nationally, race or creed. It doesn’t matter what support you have, what means you have or what your social standing you are. It is one of the most levelling of life’s experiences one can have. But here’s what I can tell you: I can tell you however is that recovery is possible & that help is out there. I can tell you that you’re most definitely alone & never will be in your journey to recovery. I can tell you that the way you feel today will not last forever & you will get through it. I can tell you that there is NO shame. I can tell you that there are some absolutely wonderful peer supports available online (#PPDChat on Twitter, #PPDChat closed FB support group, Postpartum Progress to name a few & also my group on having a baby after a PPMD) if you’re not comfortable attending an IRL group or if there’s not one close to where you live/work. And I can tell you that there are the most AMAZING & brave women that I’ve had the honour & privilege of meeting & calling my friends through opening up & sharing my story. I want you to all know that you are worthy. I want you to all know you are important. I want you to all know that you matter. I want you to know that being ‘good enough’ is ok. I want you to all know that you now have an Army behind you, supporting you, loving you & are your biggest advocate & voice when you’ve lost yours. In May 2011 Postpartum Support International (PSI) declared May as Maternal Mental Health Awareness Month. Since 2011, more States in the US & many counties across the globe have now designated May as a time to bring awareness to maternal mental health. This year, PSI is launching their first maternal mental health awareness month blog hop & the topic being explored is mental health recovery & coping skills. If you are a blogger who has experienced postpartum depression (PPD) or any other PPMD, please consider joining the blog hop to help spread awareness. Visit the two blog hop host blogs, Kathy Morelli’s Birthtouch & Dr. Christi Hibbert’s blog, to review further information & guidelines & also see all the other bloggers that are participating this year. I’m a sucker for reality TV. I’ve been known to obsess over cooking competitions, losing weight competitions, renovating competitions & those medical documentaries featuring women having babies i.e. One Born Every Minute & more recently, The Midwives which are both documentaries from the UK. Last Thursday night I was watching the latest episode of The Midwives (see episode synopsis below). This episode focused on the Midwives visiting the homes of mums & newborns after being discharged from hospital soon after the birth of their babies. The show has showed a range of births (water, natural births with & without pain relief, c-secs etc) & invites you into the lives of women who you would never otherwise know anything about… especially since I live on the other side of the globe. So, episode 5, a midwife is looking for a mum that was discharged from the hospital. There was a mix up with the addresses & she was driving around an, shall I just say, average suburb looking for this family. The voiceover explained what was going on & somehow the copywriter had decided that this was the spot in the documentary that they would mention Postnatal/partum Depression & provide the statistics of how many mums in the UK suffer from this postnatal mood disorder (that they know about – I know for a fact that some women are still too scared to come forward). Voiceover: ‘One in ten of the women Di looks after suffers Postnatal Depression. Every year in Britain between five & ten babies are abandoned, so it’s vital that Di tracks down the baby & it’s mother’. So, to recap, one in ten of the women this one Midwife looks after has PND. This seems plausible & I don’t have any issues that that sentence. It’s the next sentence I have an issue with – Linking mothers with PND as the cause for the rate of abandoned babies in the UK. Sure it may be the case at times, but I dare go out on a limb here & say that the rate of abandoned babies might also be due to economical reasons & perhaps social reasons, like the climbing rate of teenage pregnancies. This quote shocked me. It’s not often that I hear something like mere stats & figures about any PPMD that angers me. I actually welcome the discussion because, the more we talk about it, the less shame & the less stigma associated with this & all other Postnatal mood disorders. And the more dialogue, the more women will feel safe & empowered to speak up & get help. But, to link the number of abandoned babies to mothers with PND is, in my opinion only, both misleading & incorrect. I’m all for using facts & statistics – but they need to be accurate. Excluding the social & economic reasons for why someone would abandon their baby, I want to focus on the PPMD as being the cause & impetus for this abandonment. In my experience & from the research I’ve done & from all the discussions I’ve had with other mothers that suffer or are survivors of a PPMD, it’s not the merely the depression or anxiety that makes them act recklessly & spontaneously, rather the hallucinations etc that is linked to PP/PN psychosis. The depression & the anxiety create the basis of the thoughts that plague their minds for days & sometimes weeks on end, but it’s the psychosis that makes some mothers act & follow through on these thoughts – this is what fundamentally separates the depressed & the psychotic when it comes to PPMD’s. Most of the mums I know that suffer/have suffered with their PPMD talk about the repetitive nature of negative self-talk, harming their baby & even the thought of leaving the baby & their family as they would be better off without them (note: leaving their baby in safe hands as they feel they’re the unsafe ones). It’s not often that I have heard of thoughts them wanting to abandon their baby on a doorstep with just anyone. Certainly in cases of Postnatal/partum Psychosis, but not depression/anxiety & I think making a broad statement like that is both unfair & misleading. It’s painting a very broad stroke & I actually feel (surprisingly) offended by this assumption. I get how scary mental illness is to people that are lucky to have never suffered from any, I get how scary PPD/PND is to women & mothers that have not experienced it (luckily & thankfully) & I get how sad & awful it looks to people that don’t get it, but what I find hurtful, is people with ‘authority’ claiming & embellishing that PND makes you do things that are evil & incomprehensible according to social mores & values which is not (usually & actually) factual. PPMD education & dialogue can be an uphill battle at the best of times due to fear & prejudice, but if met with people that presume we’re all evil is another unnecessary hurdle we have to climb. My initial thought after hearing the voiceover on the program was, ‘hang on, we don’t all want to or actually abandon our babies’. And I guess that’s the point of this post. Am I wrong? Am I right? Am I being too sensitive? Am I reading too far into this? The community midwives of Manchester’s Saint Mary’s Hospital are responsible for almost 5,000 newborn babies every year. Every day they are trying to spot the mums who might need more than just a cursory examination – determining which mums will cope easily with a new baby and which ones might have a struggle. For 10 days after each baby is born, they go into the homes of new parents to offer help and make sure that mums are well and that the babies are being properly looked after. Midwife Joyce is concerned about single mum-to-be Fizah because of her complicated family background. Joyce has referred Fizah to the Vulnerable Babies Service, so they can keep an eye on how she is coping as a new mum. Midwife Farhana is looking after Monique, who is also single and was homeless until recently. But she has to drop everything to go and help a woman who has chosen to give birth in her own front room. Meanwhile, the mother that midwife Di is supposed to be looking after has gone missing the day after being discharged from hospital. With Britain in the middle of the biggest baby boom in 40 years, this film looks at how midwives look after new mums and new babies who might be at their most vulnerable. 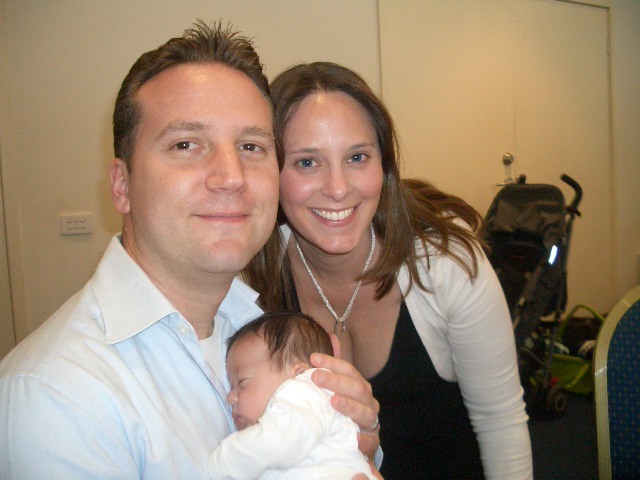 Yael from PPD to Joy kindly asked me to share with you all my journey on recovering from PPD within a Jewish community in Melbourne Australia. Allow me to tell you a little bit about myself and the most beautiful city in the world, where I live. I’m a born and bred Melbourne-ite. I attended a private Jewish day school and went on to study at Monash University where I got a degree in marketing. I went on to work in the account departments of various advertising agencies over the next ten years before I left to have my first baby. The Melbourne Jewish community is made up of the largest number of Holocaust survivors of any Australian city – the highest per capita concentration outside of Israel itself. We have a vibrant Jewish community inclusive of Ultra orthodox, Lubavitch, Modern Orthodox and Progressive Jews. There are many synagogues, Jewish schools, youth groups, kosher food a plenty (well, for Australian standards anyway). Most of our grandparents have/had European accents and we grew up eating very unAustralian foods. We are a small community – everyone knows someone who knows someone, who went to school with someone, had a date with someone or is now related to someone by marriage. And this stems global too, as family and friends move, marry and migrate. When I was in the second grade, my father went to live in Israel for six months in order to study to become a Rabbi. He graduated and returned to Melbourne to take up the position of the Rabbi of Kew Hebrew Synagogue, a modern Orthodox Synagogue in the South Eastern suburbs of Melbourne. I wasn’t too sure at the time what to make of his job and new role and most certainly didn’t think about how it would impact my life – after all, it was just my dad’s job! Soon after my dad took on the position our family was thrust into the limelight. Everyone knew who we were and we couldn’t go anywhere without being recognized or talked about. I recall my parents often telling me that ‘such ‘n such’ saw me at the movies with my friends – it was as though there were little spies reporting where we were, what we did, who we were with, etc. It was as though I lived in a fishbowl. My upbringing was all about appearances. It didn’t matter what was going on in our home behind closed doors – when we were in public, it was business as usual and we donned our masks. I didn’t realize just how damaging this was until I was nineteen and we had what would be called a ‘scandal’ in my family, we all continued on with that Victoria Grayson smile and mask covering extreme sadness. I had learnt and mastered to hide pain and put up a front. Following the birth of my DD and the hell that followed and my admission to the nuthouse I was adamant I didn’t want people to know where I was (other than close family and friends I felt safe with). For once in my life I wanted to control over who knew my business. I wasn’t ashamed, I just wanted to focus on my recovery and not what people thought of me. I just didn’t want to be the topic of gossip as they lined up for bagels on a Sunday morning. (My family was already on the ‘front page’ as my parents separated and divorced after 39 years of marriage and there was a lot of speculation as to why — I needed my time to heal from that too). We told out friends we were off to sleep school as DD wasn’t sleeping very well and we were there longer than the usual five-day admission as she was premature and needed additional support with sleeping and settling. This photo was taken at a friends wedding the day before I was admitted to the mother infant unit in a psych facility. (L-R) My husband Seon, our daughter Orli and my mask. The name Orli means ‘my light’ in Hebrew. If only I knew how appropriate this was going to be when we named her. Eighteen months following my admission and well and truly on my road to recovery, I discovered #PPDChat on Twitter – a wonderful circle of mums that came together to share our ups and downs openly (without any judgment), honestly and with an outpouring of love I had never experienced before in the online community. Some of us were in the trenches, some were climbing out and some at the top helping to pull up those below. I started participating in discussions, joined groups (BAPPD – the baby after PPD Survivor Sisters) under a pseudonym – Not Just About Wee – as I didn’t want anyone to know who I was. I have always maintained and still do, that it was never about feeling ashamed of having Postpartum Mood Disorder (PMD), I just wanted to be able to be completely open and honest and feel safe and I wasn’t sure I could do that with people knowing who I was. What if I had known the person I was chatting to in real life? Would they start telling everyone I knew my story? That wasn’t fair. It was my story to tell – if I wanted to tell it. I was so protective of myself and my (nuclear) family and was adamant I didn’t want everyone knowing my business. I just wanted my own space and privacy to start/continue my journey of recovery. I was extremely mindful about how I was perceived in the online community by remaining anonymous and not revealing my identity. No one ever asked my name – there was a kind a respectful understanding of someone wanting to remain anonymous. I was never asked to divulge who I was. Despite this, at times, I still felt dishonest by not being completely transparent. I ‘came out’ to my #PPDChat mamas when the FaceBook support page was created. I felt a great sense of freedom, honesty and truth finally disclosing my real identity. My pseudonym was my virtual mask and I was finally ready to take it off. I no longer cared who knew who I really was. I was sure no one knew me anyway, so it was another way I could ease myself into be open within my community and extended social circle. The series on Postpartum Progress was the first time I had ever told my story in full disclosure. I stripped myself completely bare for all to see. There were some things in there that I had never told my husband or closest friends. Some of the thoughts I had in the eye of the storm had been revealed in group therapy (with the tidal wave of guilt that accompanied it), however I never really discussed the details of my hell unless I felt completely safe and where I was certain judgment would not be present. I had spent the previous two years feeling safe on the #PPDChat Support page on FaceBook and various other support groups (e.g. for my sons medical condition). I contributed, I shared stories, offered advice, support and friendship and was unashamedly a recovered mad sad mummy. It wasn’t until my BAPPD sisters and I decided to tell our story that I had to really think about whether I could share my story openly for the world to see. After many days of soul-searching I decided that I wanted share my voice. I wanted to offer hope. I wanted to remove the stigma and the shame of all PMD’s. I wanted to shout from the rooftops ‘this is not forever’. If by my words I could console and comfort only one mother, it would all be worth it. I was proud of the work I did with my BAPPD Survivor Mamas, however as soon as I posted the first days series on my personal FaceBook newsfeed I immediately felt exposed, fragile and vulnerable – now everyone knew my story and I would be talked about – good or bad, it didn’t matter. I received lots of wonderful, uplifting and heartfelt messages of support from people who I don’t often interact with on FaceBook both on my newsfeed and in private messages. This made me feel proud in a way I had not prepared myself for. It was truly heartwarming and encouraging and I knew I had made the right decision by opening up. I’m still allowing myself to feel exposed because I am, but I’m working on not caring! I hoped by sharing my story would help remove the shame associated with any PMD generally and also within the Jewish community. Also it was me sharing my story so nothing could be taken out of context, nothing could be made up, no details could be sensationalized because they were my words. I was able to be in control of the message that went out, which for me has been a huge accomplishment. I’m not aware of anyone in the Melbourne Jewish community that has suffered from any sort of PMD. And I know lots of people. And they/their partners had given birth. It is just not discussed and this just baffles me. Still to this day when a mother you know attends a baby sleep clinic the assumption is that the mother is struggling with the lack of sleep and it’s the baby that needs help to sleep and settle. There is nothing wrong with the mother and she definitely isn’t suffering with any Postpartum Mood Disorder. If I’m being truthful, it really doesn’t matter about my background, my upbringing, my religion or anything. Postpartum Mood Disorders (PMD’s) are still not talked about in our community, in most communities and it’s as though the problem doesn’t exist. I find this extremely sad and disheartening. I am not going to say that everything happens for a reason as I believe things just happen because they happen. There is no reason I got my PMD over the girl next door. It’s what I am doing about having and surviving from my PMD that matters. I would like to think that sharing my story will start the dialogue and get people sharing, talking, listening, helping and loving so that the shame and stigma of having PPD diminishes and one day is no longer. I want to arm expectant mums, new mums and experienced mums with information about PMD’s – and it’s lack of religious and social discrimination – that help is available and recovery is possible. Most importantly, I wish to impart the message of hope to every mother, no matter what race or creed.